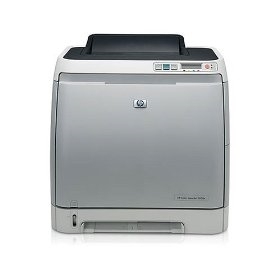 The Color LaserJet 2600n features the high quality printing and performance expected from an industry leader. The 2600n offers a high duty cycle of 35,000 pages per month, which provides exceptional page production over the life of the printer. Additionally, the rugged and affordable 2600n includes an intuitive, front-panel LCD display for easy set up and printer maintenance, a 264 MHz processor, 16 MB of RAM, Ethernet connection support, and an optional 250 Sheet-input tray. (H X W X D) Unit 14.6" x 16.02" x 17.83"